PCBs are persistent, bioaccumulative, and toxic. PCBs are found in the blood of anyone tested. Infants carry higher concetrations of PCBs than their mothers. Developing fetuses and infants are the most vulnerable. • PCBs (and other POPs) appear to cause more girls to be born than boys. 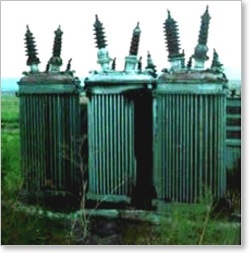 • PCBs stay in the body long enough to pass from generation to generation. • Exposure early in life may not show up as disease until decades later. • The elderly are particularly vulnerable to PCB effects on thyroid function. 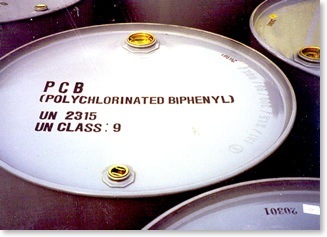 Polychlorinated Biphenyls (PCBs) were introduced in the 1900's. By 1940 their most common toxic effects were understood. It took more than 30 years to ban them. PCBs began phasing out in 1973. By 2000 their use had generally stopped. Legacy systems may still be using PCBs. PCB molecules are very stable. They persist in the environment. PCBs are in food, air, and water. 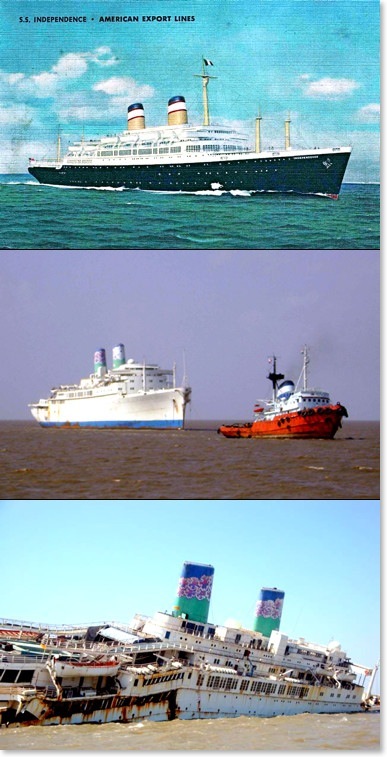 Roughly 1.5 million tons of PCBs are thought to have been manufactured. The true amount may be higher. PCBs were desirable for their low flammability and electrical insulating properties. Cities and urban areas are generating plumes of PCBs that drift hundreds of miles. PCBs volatize and spread throughout the environment more easily as temperatures rise. PCBs can release dioxins during incineration. Indoor air is a major source of PCB exposure. Even newer homes and buildings have high levels compared to outside air. The root sources have not yet been identified. Lingering natural gas supply line contamination may be a contributing source. PCBs are synergistically toxic with many chemicals. Two examples are PBDEs and mercury. PCBs have been heavily studied. New expressions of PCB toxicity continue to be discovered.